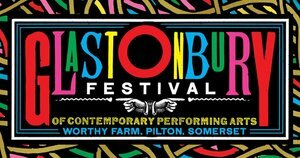 Glastonbury run an Emerging Talent competition which will see one young hopeful (be they band or solo act) appear in a live final in Pilton in April for a chance to play the Main Stage, as well as £5000 bursary. Previous winners include Declan McKenna. We’re at the stage in the competition where a longlist of ninety artists has been released, and what’s great is that Glastonbury have put both them and the blogs that nominated them in a literal long list on their website as well as a chance to hear them. There’s a Soundcloud embed for seventy five of the acts, so dive in.